The modern style of gate is very simple, this being a two barrier version. 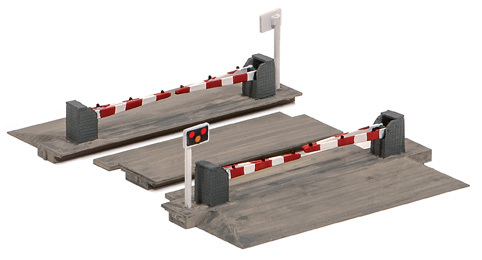 Only one barrier per side is used for small crossings. Colour light signals protect the crossing and operation is automatic.